Description: Creating a WordPress Post Slider is the easiest and most beautiful way to show your favorite posts to your new visitors. 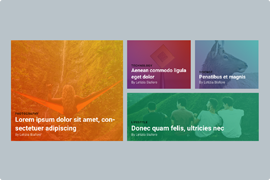 Full width sliders are the perfect sliders to use as your header slider. The header slider is the first thing a visitor sees when they enter the page. This important section is the greatest place to show your Post Slider. It’s impossible for your visitors to miss it and it convinces them to stay and read your blog. 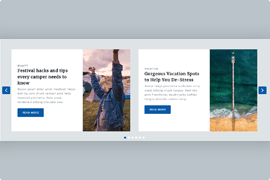 The Free Full Width Post Slider is a modern way to show your most recent posts. In the background you can see the featured image of the post taking up the full browser width. The slider can also display the post title, date, excerpt and author, which you can see on the left side. You can also use it as a static slider, and you can fully customize every part of it. 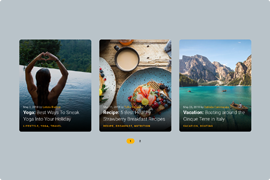 In this case, the content mode is used which works like a page builder, and has a great responsive behaviour, so your slider will be also good-looking on mobile. There is a 1-Row 1-Col structure on the slider, the row has a small shadow and padding on each side which makes the slider more beautiful. 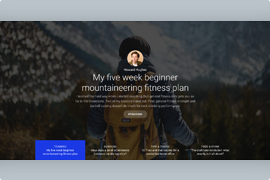 The slider has a maximum 600px height, but when content editing mode is used, your slide’s height is based on the layers and all the slides’ height are based on your highest slide. On the slider, there is a Heading layer, 2 text layers, a button layer and an image layer. The image layer is a separator between the title and the description in this case. Each slide has a background image, which fills the whole slide. By default the Fill mode is used on the background images which will cover your slide. When making full width sliders, this filling mode is the best, but if you want your whole image to be on your slide without being cropped, you can use the Fit filling mode.